The Mana movement's AGM was held over the weekend at a Marae on the shore of Lake Rotorua. It was the second AGM - even though the party is less than a year old! 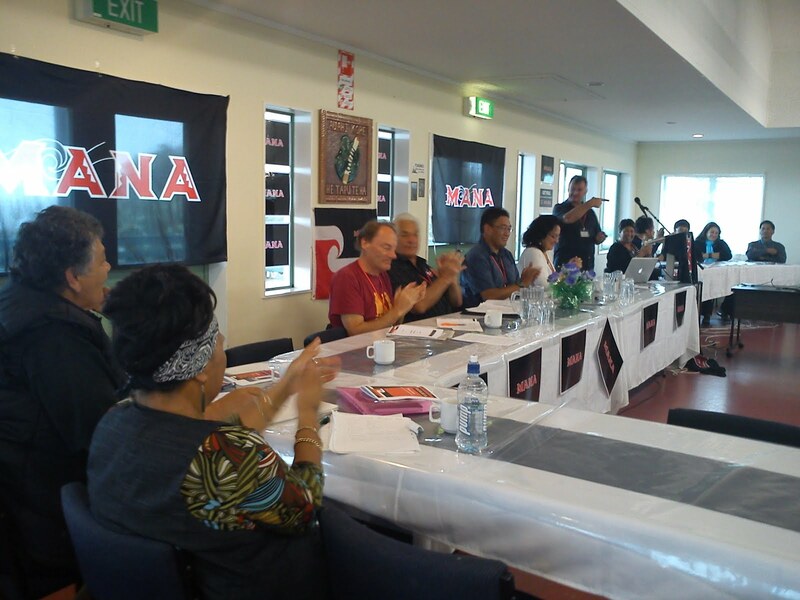 At this time last year Hone was being chucked out of the Maori Party. How things have changed in such a short period. 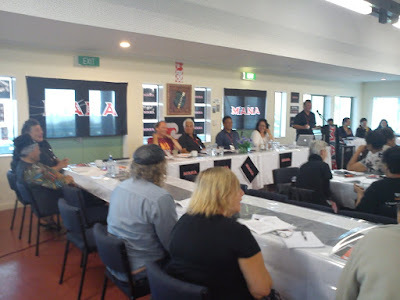 Hone fought a by-election to re-establish his mandate, became a parliamentary leader on the front bench, worked with the disillusioned and marginalised to get a popular movement and organisation up and running, and at the general election Mana got more party votes than Act (who spent ten times as much in the election campaign). 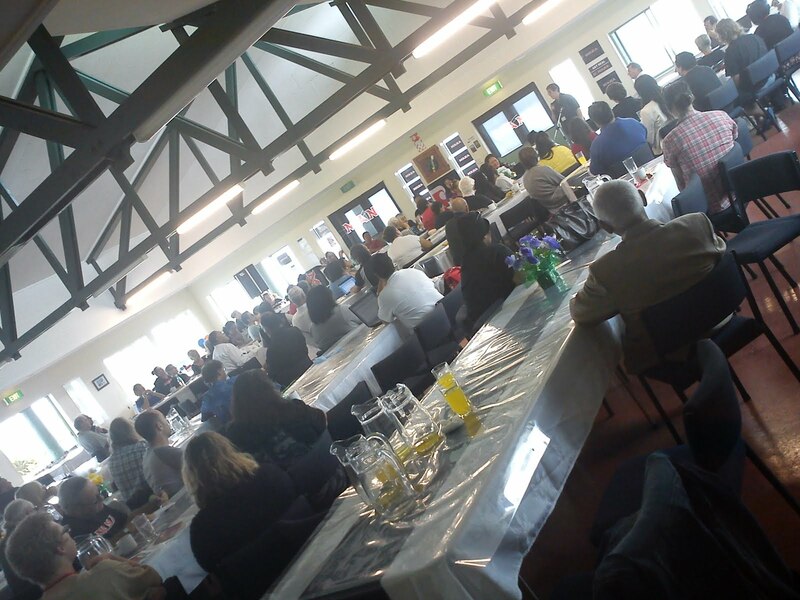 Mana stood candidates in all the Maori electorates and about ten general seats - a huge logistical task for a small party in its first year. 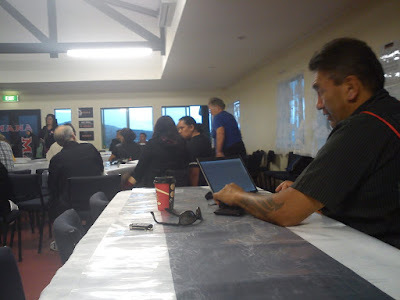 Apart from returning the leader, Mana supporters reduced Te Ururoa Flavell's massive majority in Waiariki to 1800 votes - these are substantial results. There is plenty to be satisfied with in the achievements of this movement to date. The members at the AGM were ambitious and have begun laying the groundwork for an electoral onslaught come 2014. 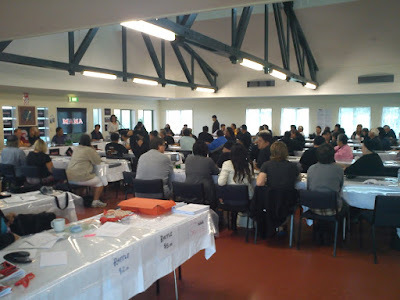 Over 150 members were present and representatives from all over the country (and Australia!) were there. 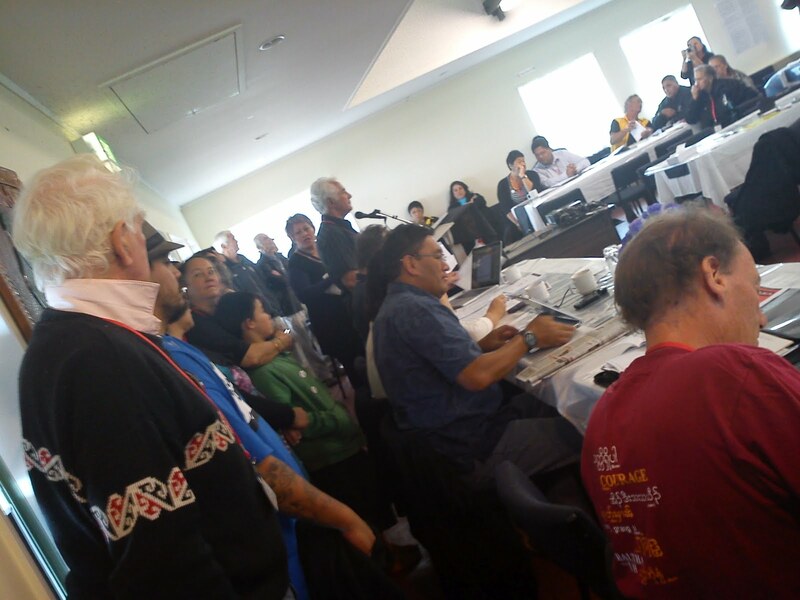 Some familiar faces from Left causes, some faces who had left the Maori Party, many new faces, and - hearteningly - many younger members. 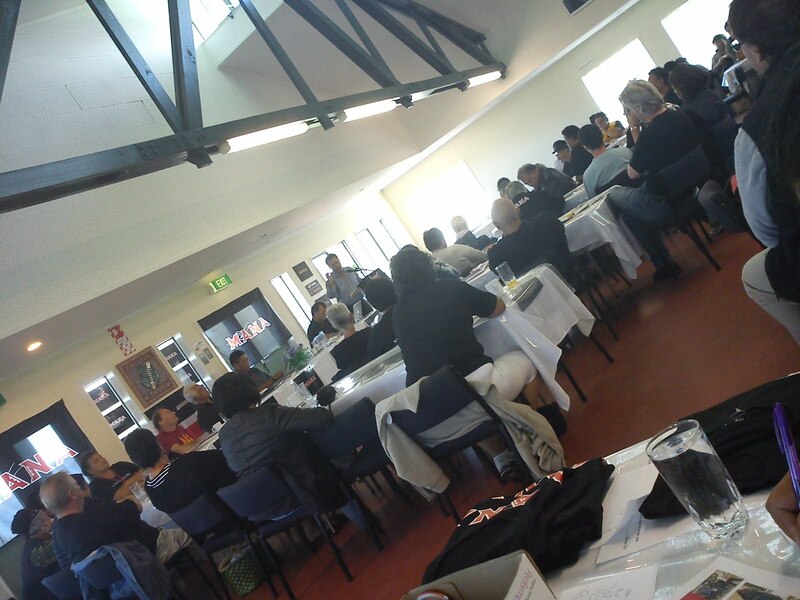 Not surprisingly for a new movement members are still grappling with internal structure and how to fit everything together. The main issues seem to be: how to get traction and members in the South Island, esp. Christchurch (but a big delegation from Dunedin was there and also from Poneke where the Te Tai Tonga (Southern Maori) electorate encompasses the Wellington suburbs, so the electorate is not without representation), and how do non-Maori interact within a party based on kaupapa Maori. I'm not saying any of this was resolved exactly, but those were the two big issues from what I saw. Matt also had some fascinating information about the Ports of Auckland dispute, but that's off the record.